Recent terror attack in Kashmir as well as Indian and Pakistani reaction will impact the upcoming vote. 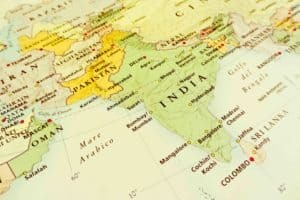 In the run-up to the elections in India, the domestic landscape has dramatically changed in the wake of the recent terror attack in Kashmir, the Indian Air Force strike in Pakistan as well as the Pakistani response. It is expected that foreign and security policy will have decisive repercussions on the election to the Lok Sabha, the Indian parliament – and vice-versa. In normal times, foreign and security policy does not rank prominently on the agenda in a general election. But after the terrorist attack in Pulwama on the 14th of February 2019, where more than 40 members of the Indian security forces were killed, events like the Indian air strike deep into Pakistani territory, hitting the terror training camp of the Jaish-e-Muhammed in Balakot, and the Pakistani Air Force crossing the Line of Control (LOC) into Jammu and Kashmir have changed dramatically the situation and have created a new landscape. Is Jammu and Kashmir the focus in 2019? Jammu and Kashmir is still not the major focus in the 2019 Lok Sabha election. But the recent events have led to an intensification of hyper-nationalism in India. It is fully understandable that India has to react to such terrorist provocations. The terrorism sponsored by Pakistan’s so-called ‘deep state’ and its intelligence agency ISI (Inter-State Services Intelligence) poses an existential threat – “bleeding by a thousand cuts” – to the integrity of India and therefore, especially a government claiming to represent the true national interests, had to react. Prime Minister Narendra Modi, lately on the defensive domestically, of course seized the opportunity to make the military reaction a major issue, if not the dominant one, in this forthcoming election campaign and thereby divert uncomfortable attention away from rural distress and the job crisis. Evidently, a solution for the vexed Kashmir problem is not in sight, like it was the case during the heydays of the negotiations between the former Pakistani President Pervez Musharraf and the former Indian Prime Minister Manmohan Singh, with both trying not to change the borders and to find a solution of constructive co-existence with transparent borders in the wider context of South and Central Asia. It will be interesting to observe how far recent events will influence the dynamics of the campaign and voting patterns. Although the BJP, in an extraordinary move, had partnered with the Jammu and Kashmir Peoples Democratic Party (PDP) for the government of the state – under the Chief Minister Mehbooba Mufti, until the BJP withdrew its support in June 2018, the situation especially in the Kashmir Valley continued deteriorating. Now, as emphasised by many experts, a major precondition is to calm down the situation in the Valley and not follow a military approach. Otherwise, the danger is “that terrorism is seeping into the country-side in Kashmir and the Kashmiri identity of the youngsters is taking a backseat to their Islamist identity”, as mentioned by terrorism expert Dr. Ajay Sahni, who proposes a rapid normalisation of the situation and a dialogue amongst all parties concerned. There is even the danger of another terrorist attack during the election campaign and that the current tensions between India and Pakistan could further escalate. It will be interesting to observe how far recent events will influence the dynamics of the campaign and voting patterns. According to opinion polls, they have certainly benefitted the BJP so far. Much will depend also on the opposition parties. How far can they disentangle the military issues of this recent confrontation and direct voters’ attention back towards more ‘mundane’ issues like unemployment, agrarian distress and a sluggish economy. Jammu and Kashmir will remain a topic, domestically, regionally and potentially even internationally. Whatever government will be in power after the elections – the BJP/NDA is currently leading the polls – will need to have a stronger focus on Jammu and Kashmir, as well as the situation in South Asia and especially the relations with Pakistan and, implicitly, also China. The next government will also require a wider vision, particularly showcasing a readiness to learn from the Indian and Pakistani establishments. 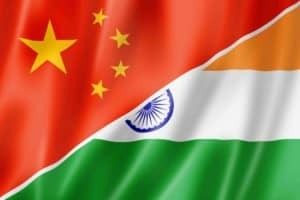 China uses Pakistan as a proxy against India, which has conceded space to China in South Asia during the last decade. Only regional cooperation and a step-by-step approach can lead to positive results. 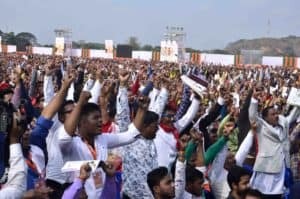 India: what divides Modi’s BJP and Gandhi’s Congress?